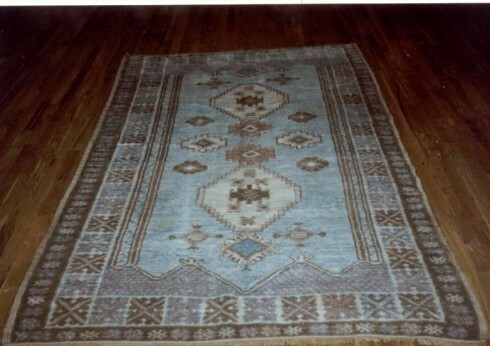 THE MOROCCAN RUG - A wonderfully primitive, minimalist sensibility and natural beauty. Morocco is home to one of the oldest carpet-making traditions in the world. 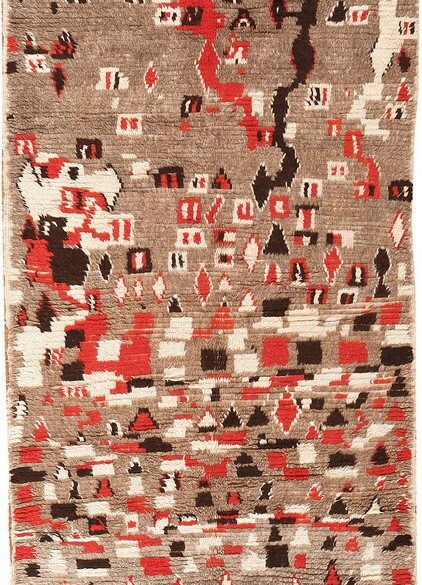 In the high plains of the country’s interior, evidence of rudimentary utilitarian weaving dates to the Paleolithic era, and among the region’s semi-nomadic tribes, the pile weave has always been integral to culture: for centuries, utilitarian rugs have served as floor coverings, saddle blankets, tent coverings, protection—in short, as crucial tools for everyday life. Considering the region’s long history, one that in fact stretches to pre-history, it may come as something of a surprise to learn that Moroccan rugs are in fact some of the youngest on the antique Oriental market today. The truth is most date to no earlier than World War I: a shifting point when the world market began to recognize, belatedly, the significance of this region’s extraordinary textile arts. The designs of Moroccan rugs reflect their ancient roots. Passing early geometric motifs down from generation to generation, tribes never strayed far from tradition. They resisted outside influence, and so stayed true to older forms than their contemporaries in Persia and Turkey. 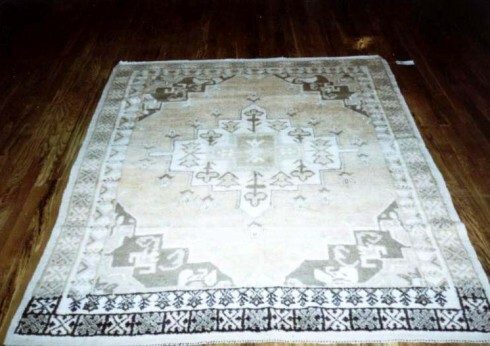 There, even tribal weavers made use of classical designs favored by the West in the production of their decorative rugs for the international market. Contrasting sharply with the elegant, ornate carpets of Persia’s 19th and 20th centuries, Moroccan rugs of the era exhibit a wonderfully primitive, minimalist sensibility, a kind of raw and natural beauty to Persia's refined and urban design. To deepen the contrast, Moroccan rugs are often woven in shades of white and brown and black, emphasizing their connection to the past and to the earth over their place in the contemporary market. The typical Moroccan designs are stripped-down geometric patterns, so-called primitive motifs that today feel ironically contemporary. In fact, one of the great popularizers of the form was the mid-century designer Le Corbusier, who saw in the simplicity and honesty of Moroccan design a deep kinship with his own work. In photo spreads and in his own home, he famously matched his chrome and leather furniture with the thick-piled tribal Moroccan geometric rugs. Production rose sharply to meet new international demand in the 20th century, and the vintage rugs produced for this post-war market are what we know today as the highest examples of the form. Critically, even as production increased, rug weaving in Morocco remained remarkably small-scale. Artisans worked at the individual or family level, and the majority continued to live as members of nomadic tribes we know today, most famously the Beni Ouarain. 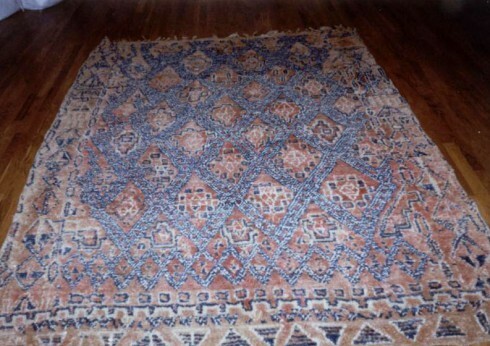 As a consequence, almost all Moroccan carpets were small to mid-sized; they had to travel with their creators. They ultimately became very popular rugs, and while Corbusier's interest in the Moroccan carpets coincided with their rise in international fame, it’s hard to say to what degree his influence bolstered their name. What we do know is that the middle of the 19th century saw a seismic shift artistic taste and influence, and as classical sensibilities gave way to modernism, the simple, abstract designs of Moroccan rugs suddenly came into fashion. Of course, in Morocco, nothing had changed. It's as though the world had come full circle to recognize the ancient as the new.